We do all the work for you – all you need to do is tell us which weeks you wish to release for hire, and we take care of the rest. We look after your hirers, collect the holiday charge for you and pay straight into your bank account on a monthly basis. In August, you could expect to see £825 per week sold after all the above costs are deducted. In September, the net hire to you would be around £440. You simply need to deposit a week in your lodge with DAE and they give you a credit. Each credit allows you to purchase a week in any other property, at any time of year, for just £99 (£87 in Europe & the UK). This is a free benefit of lodge ownership at Waveney River Centre and there is no commitment to deposit any weeks if you don’t wish to. 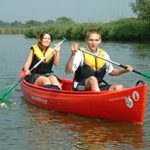 Your lodge benefits from a 40 year (extendable) licence at Waveney River Centre and there is an annual ground rent – currently 4,150 inc VAT – which covers the standing charges for water, electricity, gas, drainage and TV connection. It also includes maintenance of all shared areas, street lighting, window cleaning and waste collection. There are no ‘hidden’ extras. Gas & electricity consumption will vary according to how much you use your lodge. Typical total annual consumption varies from £150, up to £1,400 if your lodge has a hot tub and is made available for hire all year. The gas and electrical installations in your lodge have to be checked annually, this typically costs £300 inc VAT and includes servicing of the boiler. * The rental guarantee for lodges in premium locations may be less than 7%.